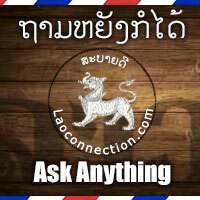 Question: Do you see other Lao websites, blogs and FB Pages as competition? Answer: I prefer to think of it as a community. I think the increase in Lao related sites is something I had always hoped for when I was growing up. In the early years of Laoconnection.com, I continually posted resources and information about how to start a website, where to go to learn online skills, sources for free/inexpensive software, etc. Personally, I wanted to be able to search online and find anything and everything I could on Lao culture. Twenty years ago that kind of online information was limited. Back then, there were perhaps a dozen good Lao related websites. Now there are tons of online resources with thousands of websites, blogs, FB pages and Youtube videos all about Laos and Lao culture. That's a dream come true for me. Every site brings a different perspective or editorial theme. That's a wonderful thing. Variety is good.